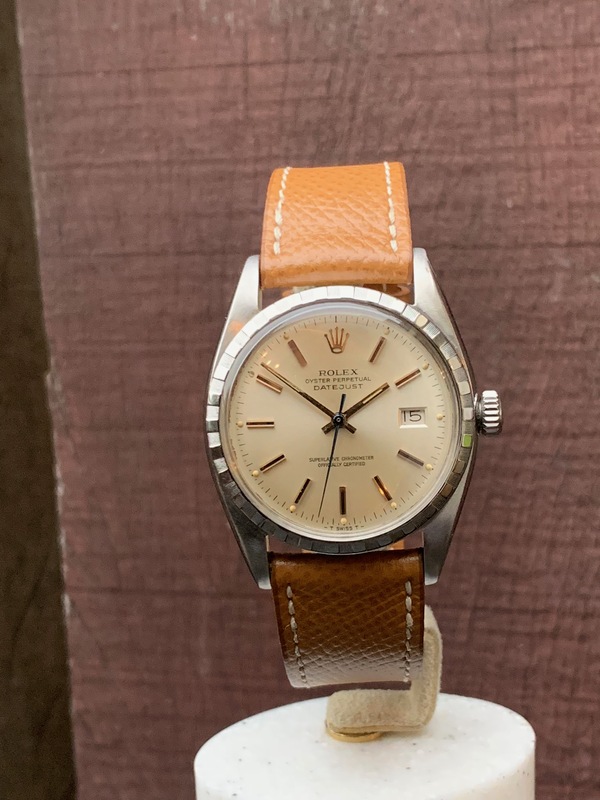 Rare Rolex datejust from the first series. 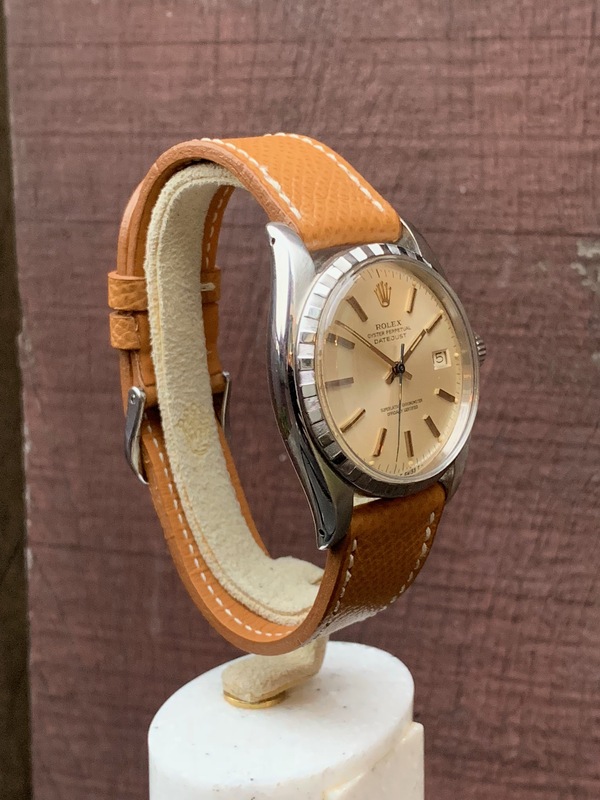 The 6305 in steel is pretty rare, especially in a good condition these watches are very scarce. 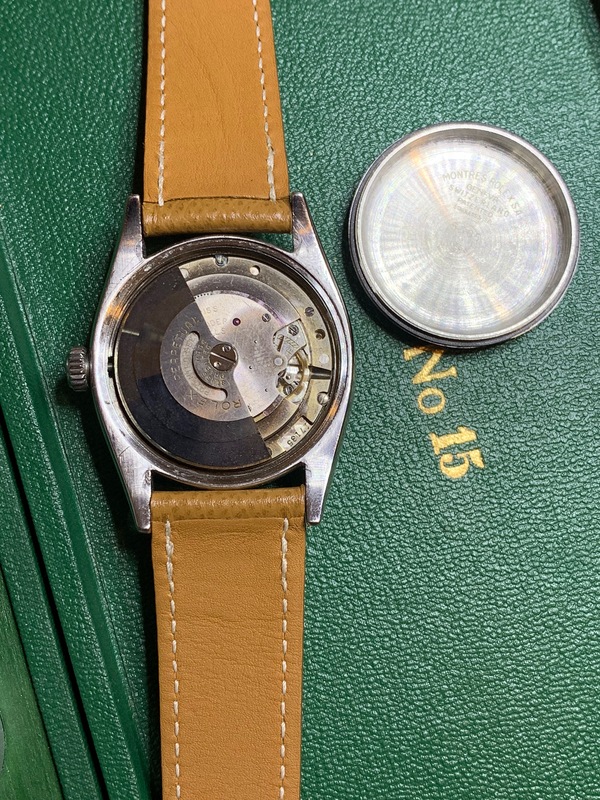 This ref 6305 has a steel engine turned bezel. The movement running inside is the caliber 740. 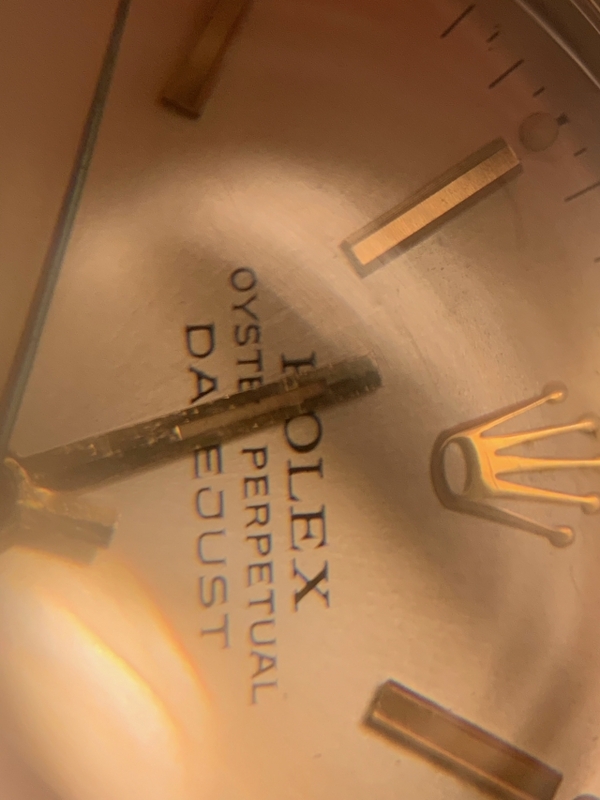 In the 1950’s watch dials contained a high amount of Radium for the luminous paint on the dial (and hands), dials where commonly changed at Rolex service as it turned out in the 1960’s that Radium was is dangerous for human being. 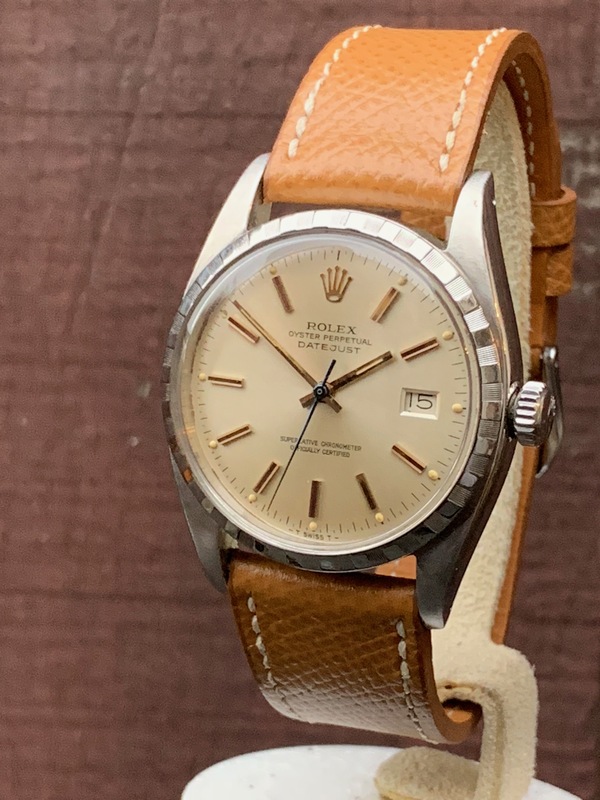 This Rolex 6305 steel datejust has a service dial from the 1960’s with harmless ‘tritium’ paint on the hands and dial indices, it has beautiful gold indices and a blued steel second hand. 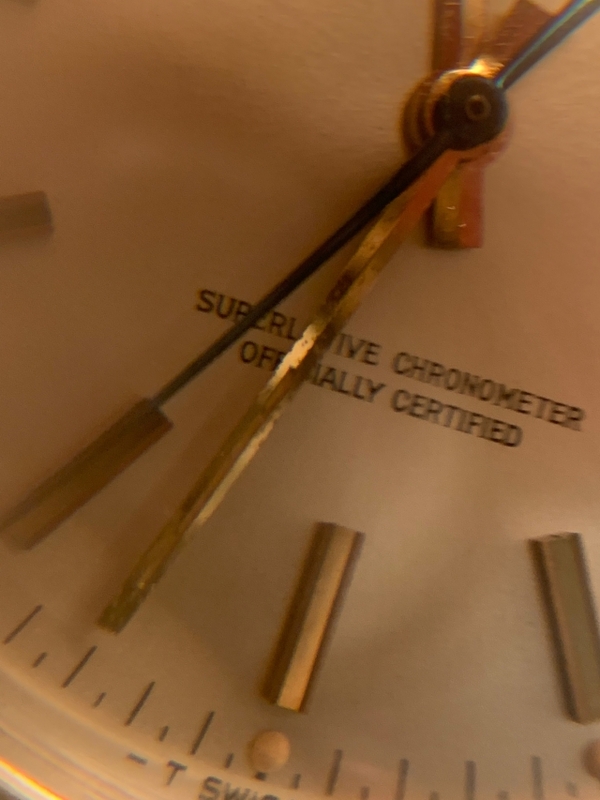 The movement has been carefully checked by our watchmakers and is running perfectly on time. 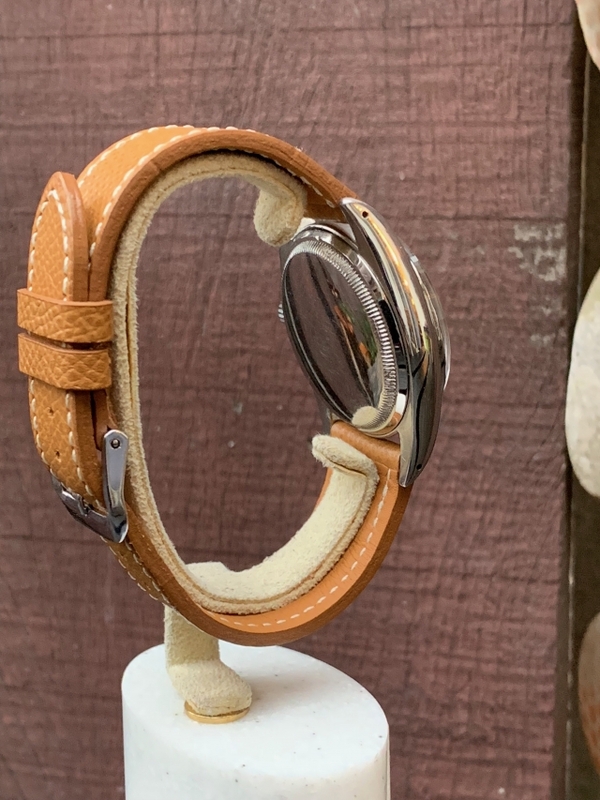 The watch is looking great on a leather bracelet but we can supply it with a steel bracelet on request. 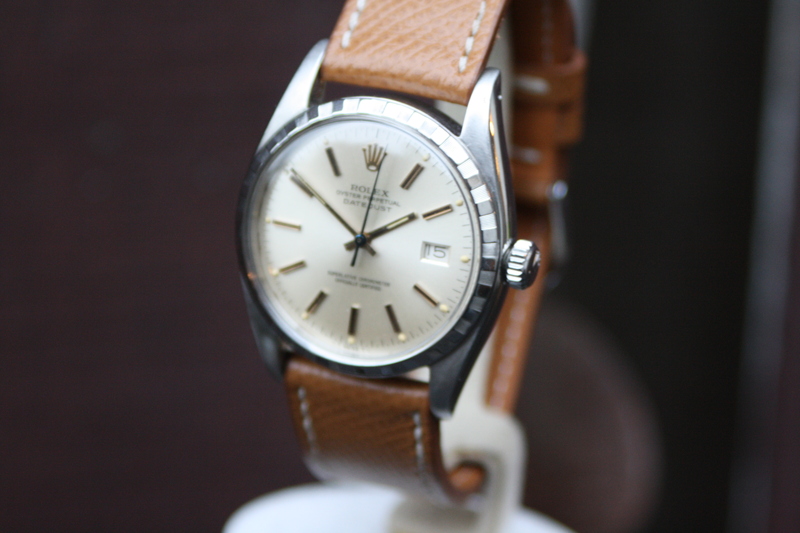 For more information about this beautiful and rare rolex 6305, contact us directly by phone or mail. 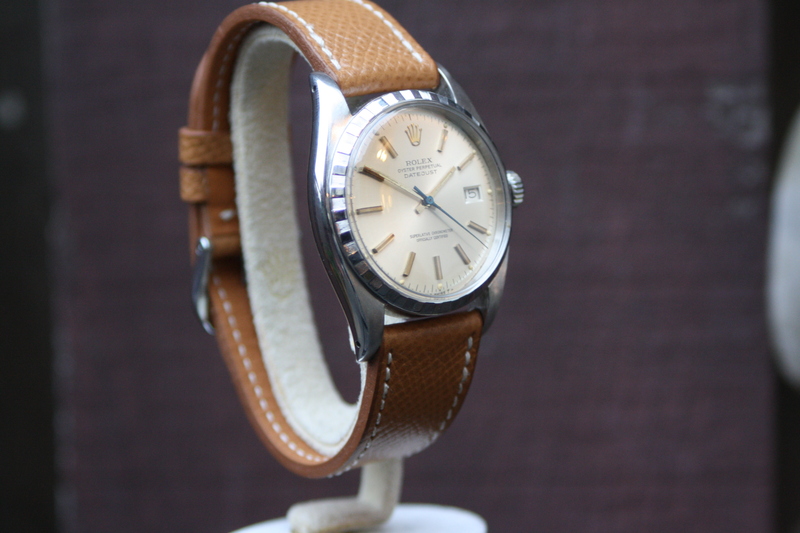 Vintage Times ships worldwide and we trade in vintage watches as well. 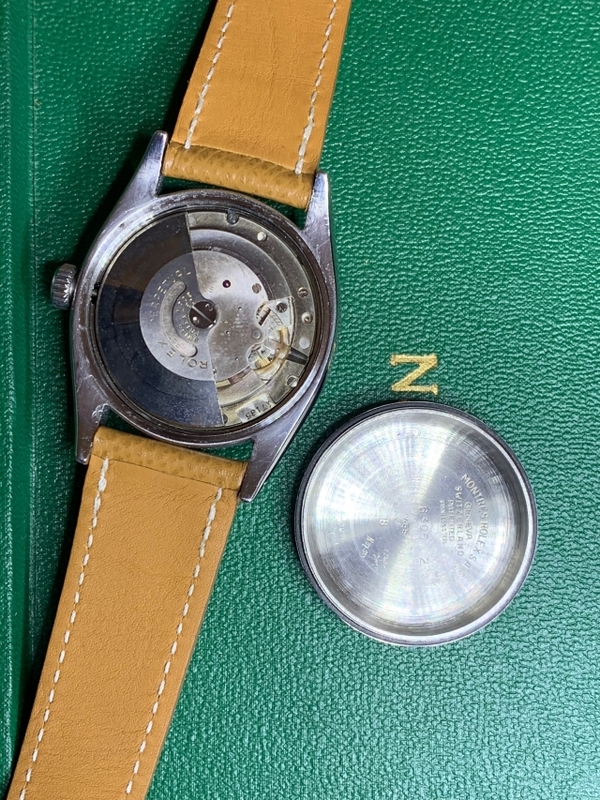 Please contact us for all your watch related questions or trade offers. 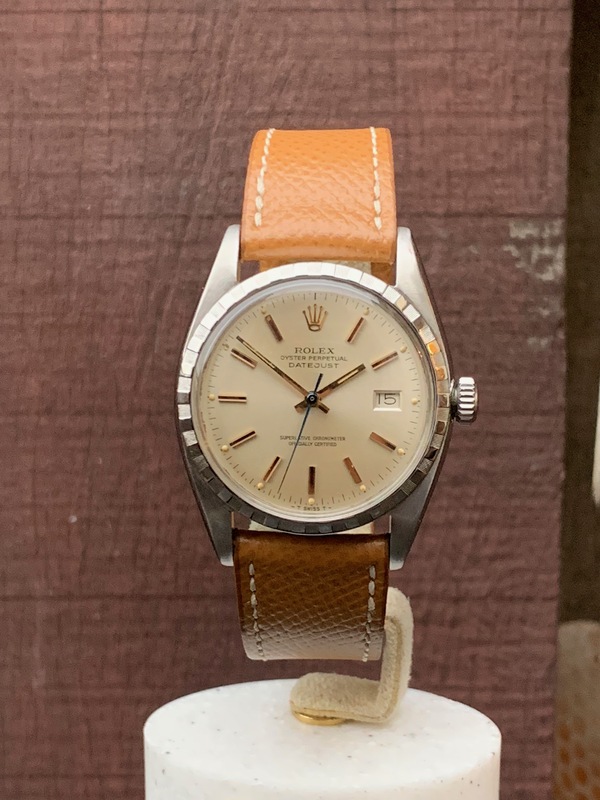 This Rolex 6305 is available now. 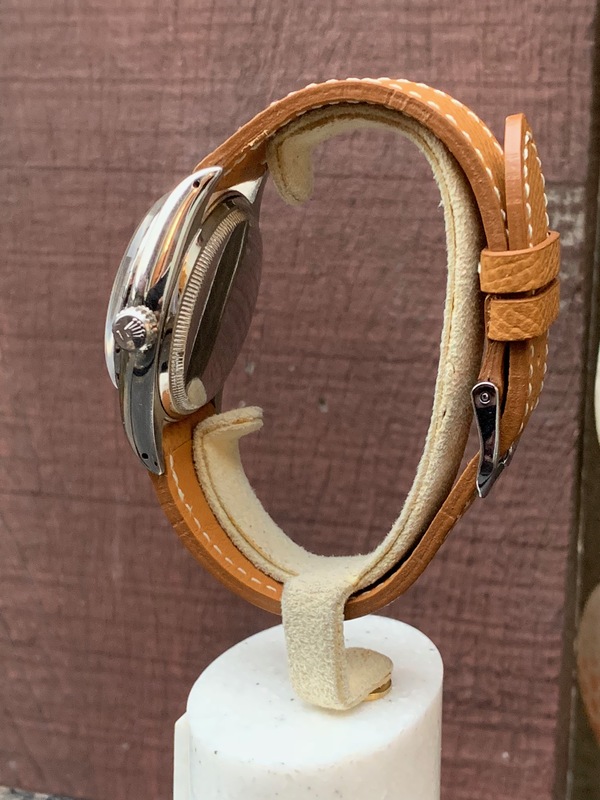 We can sell this watch through the chrono24 platform as well, in this case you have the option to pay with a trusted checkout transaction. Find our client review on chrono24 here. For more information contact us directly by mail or using the contact form below. You can also call us or send a WhatsApp message. 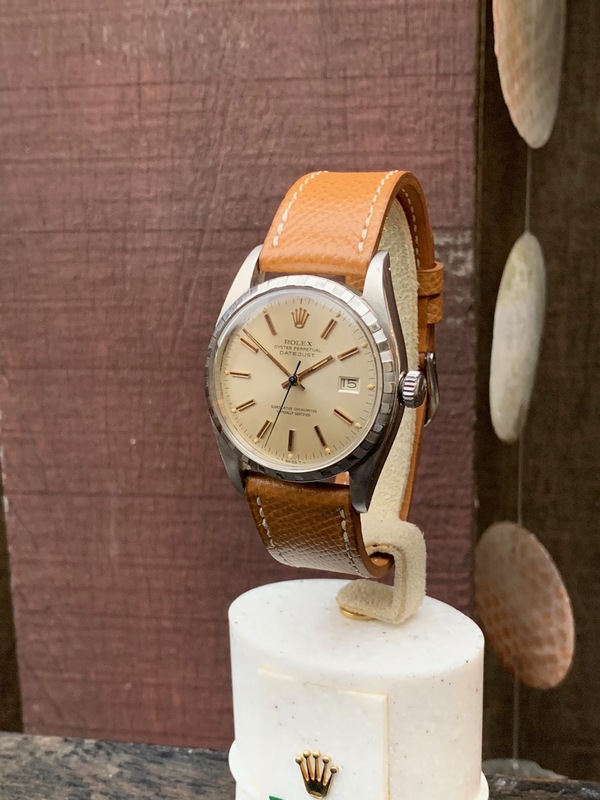 Find all our Rolex watches for sale here, don’t hesitate to contact us for any questions.